Caption slip reads: "Photographer: Paegel. Date: 1954-04-24. Assignment: Shrine Circus. 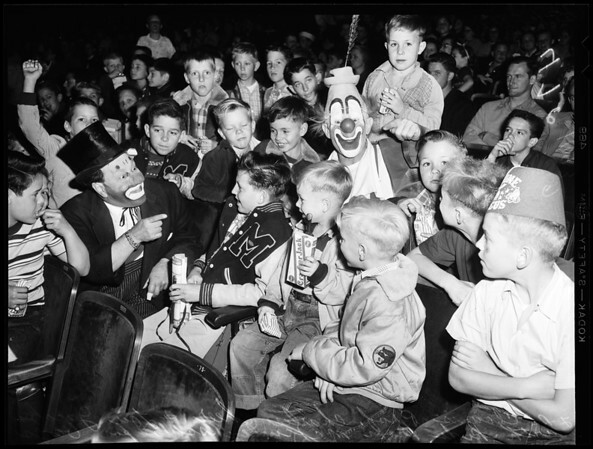 l. to r., 47: Clowns Prof. Charles Cheer and Lou Jacob entertain groups of kids from McKinley School for boys".